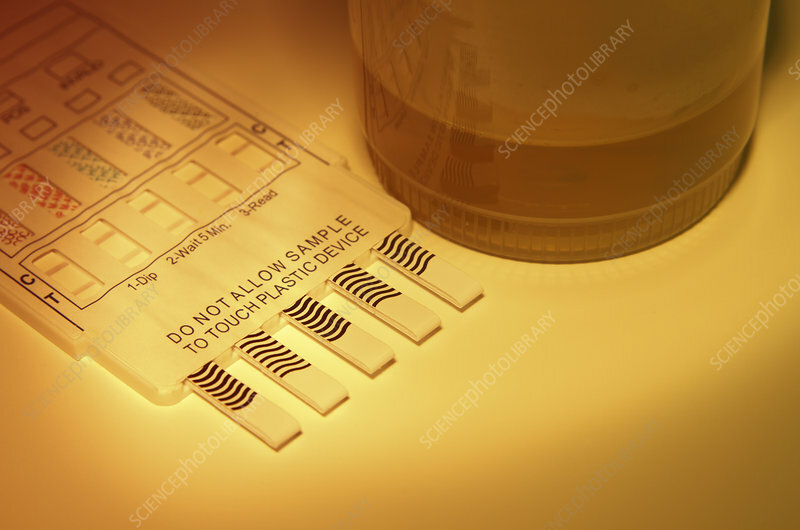 Urine drug screening. Testing urine sample for drugs using a 5-panel screening device. It tests for cocaine (COC), methamphetamines (M-AMP), marijuana (THC), opiates (OPI), and benzodiazepines (BZO). Each panel has a control zone and a test zone. The device shown here shows negative on all five drugs.